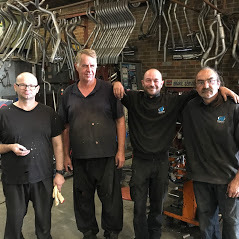 To discuss the best performance exhaust system options open to you or a custom exhaust solution , call Alan or Wayne on 03 9791 8455. Whether you are a performance car enthusiast, a 4x4 owner, or just want a better note from your car, we can make your vehicle perform better and sound better. So what are your options? We offer a comprehensive range of bolt on performance systems for many makes of cars, utes and 4x4’s. These have been specifically designed for the make and model of vehicle, and will normally give you a performance gain, and depending upon your driving style improved fuel economy. 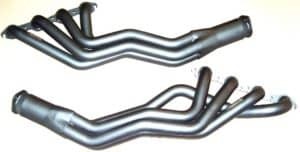 Catalytic Converters are an important part of your car’s exhaust system, and are a legal requirement in cars manufactured after 1986. Should you include a high flow cat in your system? 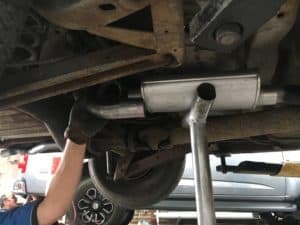 This really depends on what you want to gain out of your new system, the age and model of your vehicle and what catalytic converter is currently in your system. Extractors allow improved airflow from your engine, reducing back pressure. There are a number of different manufacturers of extractors in Australia – Genie, Pacemaker, Hi-Tec and Hurricane. What’s Best For My Vehicle? Some find people find their information from forums, others read car magazines, or talk to fellow car enthusiasts. Our recommendation is to talk to one of our installers. 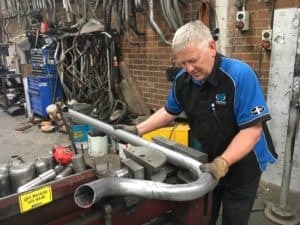 We are passionate about exhausts, especially performance exhausts. Our advice and estimates are free.